Advertising Opinions: Faaso's -- Let's have a bite! Faaso's -- Let's have a bite! 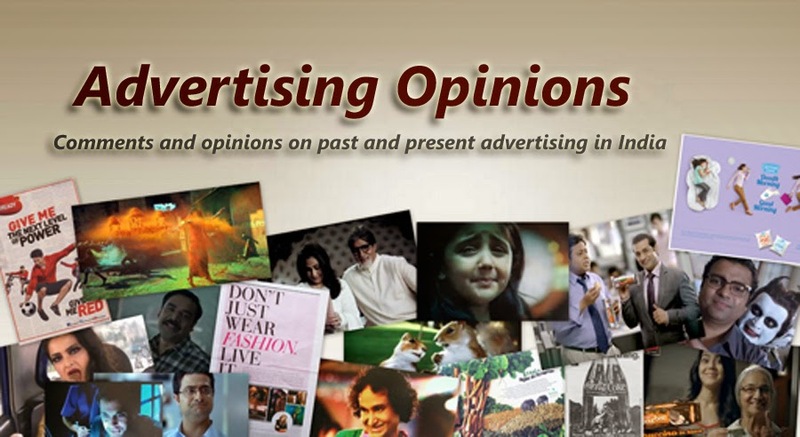 The above press advertisement caught my eye both at Pune and Mumbai and I decided to write about it; since I was curious to know more I contacted the ad agency ICOMO Advertising (I) Pvt. Ltd. and they were kind enough to answer my queries. Starting a chain of quick service restaurants was not easy because Faaso’s was a new brand and therefore was unknown, no one knew what Faaso’s stood for and what it had to offer. The role of advertising was to create a unique identity for the brand Faaso’s, induce trial and establish an association of Faaso’s with wraps. The advertising had to be distinctly different from that of other fast food brands – whether foreign or Indian. According to what the agency told me, the print ad is really the culmination and continuation of the website, menu leaflets, menu boards and all other touch points -- all this leading towards building a specific brand character. The idea was to create an image around Faaso's which would be not just about food but a fun experience. The budget was limited so the advertising had to be exceptionally creative and impactful. The core target audience was identified as college students and young working adults, who are looking for the fun and like the taste of Indian street food, but at the same time expect no compromise in quality and safety standards and want something convenient to eat, with no mess. Bearing in mind the nature of the Faaso's offering and the consumer profile, it was felt that the communication should be interesting and witty and should appeal to the ‘urban youthful’ consumer. The communication also had to be unique and must stand out so as to build a distinct brand identity for Faaso’s. Generally speaking in all food ads the advertisers make sure that the central visual is presented in a very attractive manner, in other words it should look tasty. It is the same with the Faaso’s ad, the food items shown look really yummy but there is another aspect to the ad; here I am referring to the look of the ad with the light yellow background, interesting copy and illustrations; the imagery is that of fun, you get the ‘Come-on-let’s-try-it’ feel. What is interesting is that no formal consumer research was done before planning the communication; instead feedback through regular interaction with consumers and store managers/delivery boys was relied upon. Faaso’s communication to my mind has hit the right note. 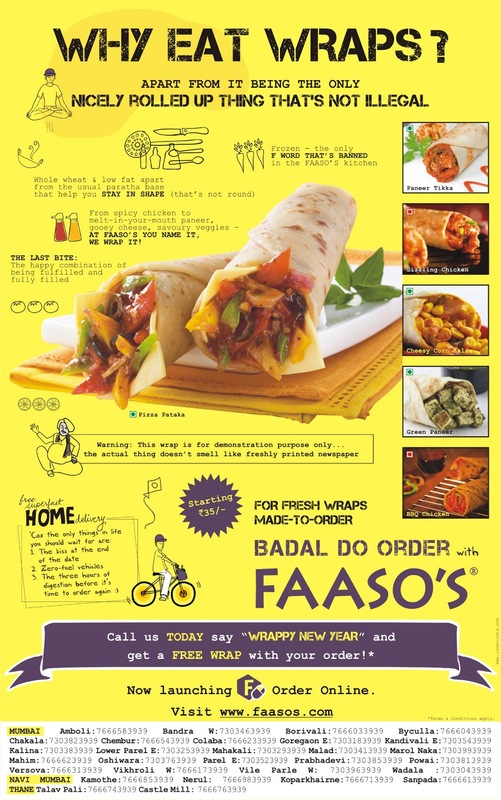 Well the next thing I should be doing is to visit the nearest Faaso’s outlet and grabbing a wrap, I must try it. The article was really interesting and i love to read it. Thanks for posting informative article.